A hearty breakfast that is sure to please kids and adults alike. 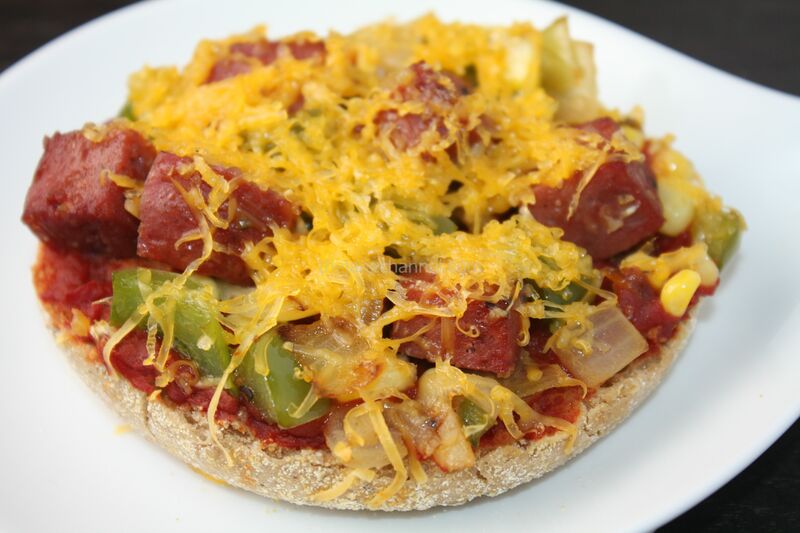 It has a little bit of everything – veggies, meat, cheese, and dough. Pair with orange juice or coffee for a perfect start to the day! Heat oil in a skillet over medium heat. Add garlic, sausage and onion, cook for 3 minutes or until lightly browned. Stir in pepper and corn, cook for 3 minutes or until everything is cooked through. Salt and pepper to taste. Split English Muffins in half. Spread 1 tablespoon of tomato paste on top. Add the vegetables and sausage on top. Sprinkle cheese over them. 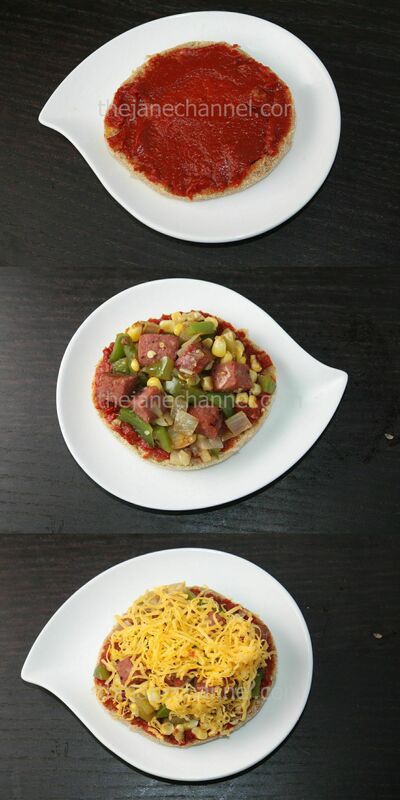 Place muffins in oven or toaster oven at 350 degree and bake for 5 minutes or until cheese is melted.